HOW TO SELECT AND WORK WITH FASHION TRENDS? Find trends that suit you and incorporate them into your wardrobe. Trends, trends, trends. My favourite part of fashion, but so damn tricky at the same time. With every change of season, we all can expect the magazines to bombard us with the lists of trends and must-have items for the following few months. But then what? What to do with the list of 10 trends you NEED that particular season? I learned very quickly in the beginning of my "blogger career" that you have to be rather careful and selective when it comes to trends. If you just blindly follow the list of trends that are recommended in the magazines or online and don't incorporate them into your own style and aesthetics, that will surely show on the outside. You may feel like you are on the right track, wearing those over-the-knee boots, but if they don't go with the rest of the outfit, everybody will notice that. I notice that, all the time. I see girls walking down the street wearing the trendiest items of the season, but something just doesn't seem right with their outfit. There is something unexplainable, but noticeable to us who love fashion. Don't you agree? Then there is another problem that I have noticed lately - I feel like everyone looks the same here in Ljubljana. I always joke with my friends that they all wear a "Ljubljana uniform": green parka jacket (now even with the pink fur hood), light washed jeans, Nike/Adidas trainers and a big sporty bag. There is no diversity anymore. And I hate it. I want to feel inspired by the street style, but that's honestly impossible here in Ljubljana. Yes, I know I live in a "small" city in comparison to others, but this shouldn't limit us to explore new trends. 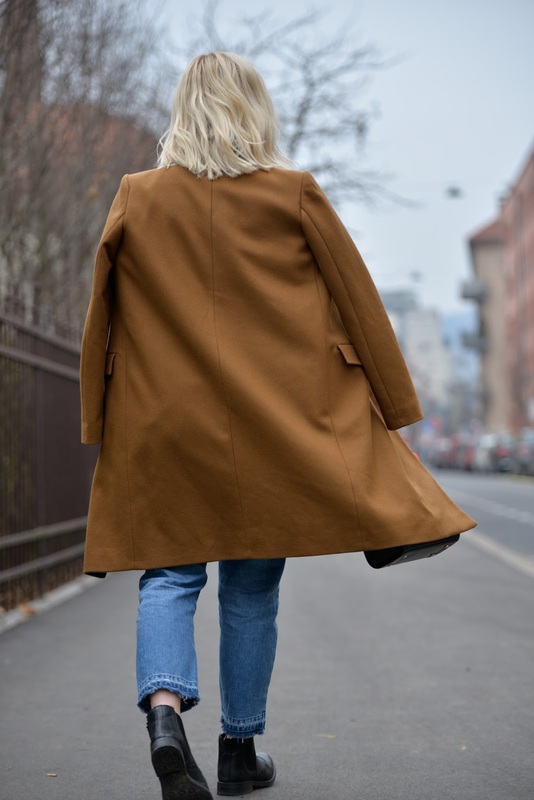 That's the reason I always go back to Slovene and foreign bloggers, because I always search for something new to incorporate into my wardrobe, and bloggers always give me that. So what I'm trying to say is that I need DIVERSITY. And trends give us that. But there is always a tricky part: how to choose trends correctly? My tips for choosing the trends correctly are simple: start with researching the trends for the upcoming season and pick 3-6 trends that look most interesting and practical to you. Continue with shopping around your favourite stores and pick up a version of that trend that will go along with your wardrobe and style in general (meaning: you don't have to buy a big, colourful puffa jacket Elle magazine told you was the hottest item of the season, but settle on a puffa jacket that will flatter your figure and complement your wardrobe colour palette). And there you go, simple as that! Be selective, critical and thoughtful when it comes to trends. This way trends will elevate your style, rather than bring it down. 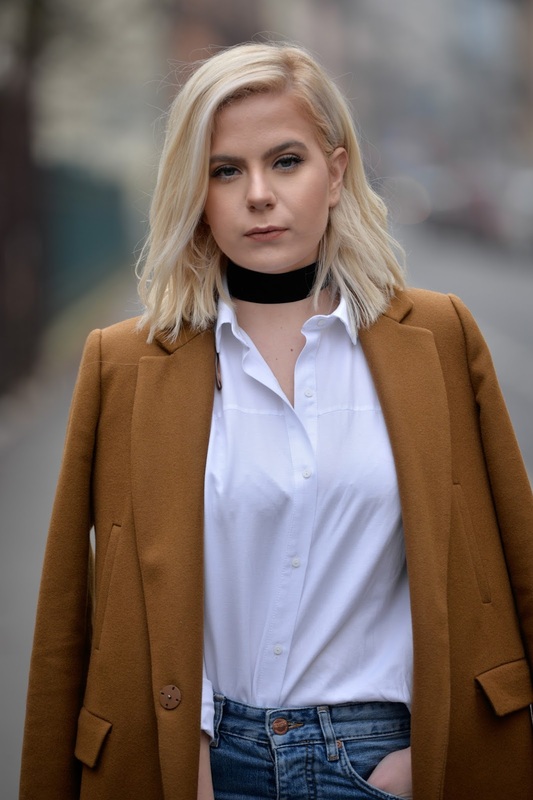 Here is my version of combining 3 trends with my own style: black choker, brown coat and raw frayed hem jeans in a minimalistic outfit, with added white shirt, Chelsea boots, classic wrist watch and handbag. I stayed true to my minimalistic style and carefully incorporated trends that I love for F/W 2016/17.